prevailing climatic conditions and their impact on reducing the carbon footprint. The award comes as an embodiment of the Municipality's commitment to its forward-looking strategic plan aimed at the sustainability of the city's environment by protecting the environment and its natural resources as well as implementing leading sustainability systems. paint was used on the other part of the house. 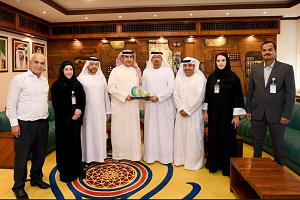 sustainable development efforts and its drive to preserve the environment,” he said. reducing the impact of carbon emissions and reducing the temperature.